Wandering Jew ( Commelina cyanea, COMMELINACEAE ). oops: slightly missing the starboard rear wing! 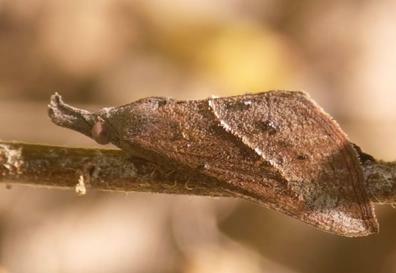 The adult moths have dark brown wings with a diagonal line from near the wingtip to halfway along the rear edge of each forewing. They have a wingspan of about 2 cms. Kollar's 1844 holotype was lost for a period, during which the replacement name Hypena masurialis Guenée, 1854, was suggested. 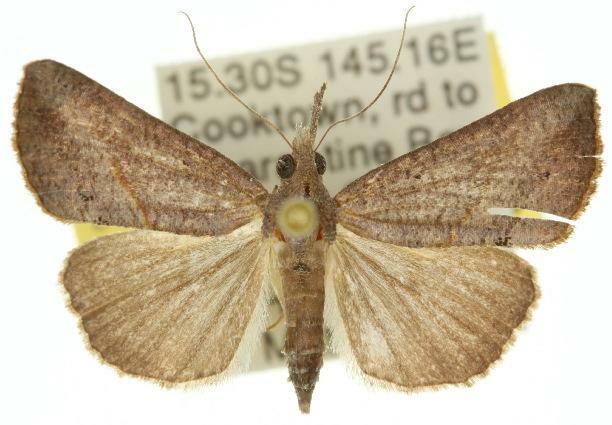 Subsequently the holotype was found and so the replacement name is no longer necessary. 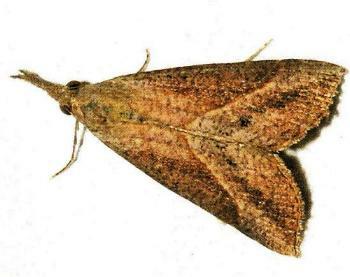 Hypena obacerralis is superficially very similar to Rhynchina obliquarlis, and they are confused in many collections. We hope we got the above photos correctly identified. Moths of Australia, Melbourne University Press, 1990, p. 448. Volume 9, Part 8 (1854), p. 38, No. 40. Volume 96 B (1994), pp. 369-372. Stuttgart, Volume 4, Part 2 (1844), pp. 491-492. LeapFrogOz, Kuranda, 2015, p. 164 (listed as Hypena masuralis).